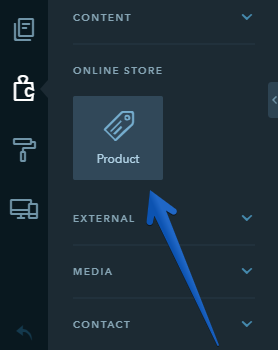 To enable an online store, drag the Product widget to the website. You can add an unlimited number of online store items. 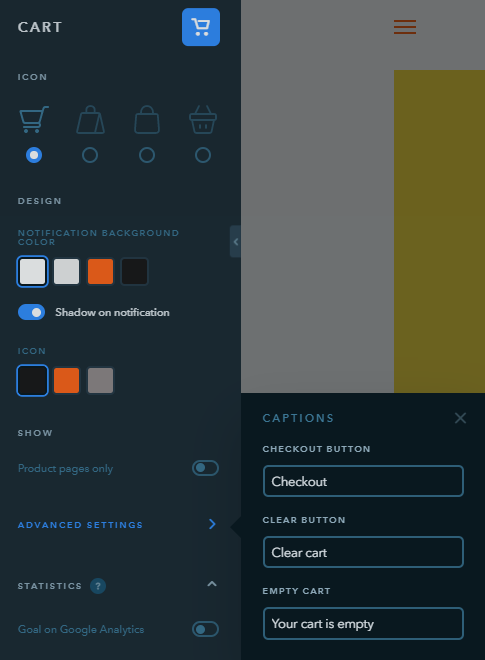 To customize the design of the cart, click on it. 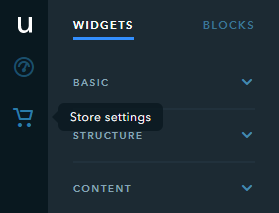 By adding the Product widget to your website, you start a 14-day trial period when you can set up and test all features of the online store. Once the trial period is over, placing orders on your website will be suspended. If you would like to keep your online store up and running, you will need to subscribe to the eCommerce or Pro plan.